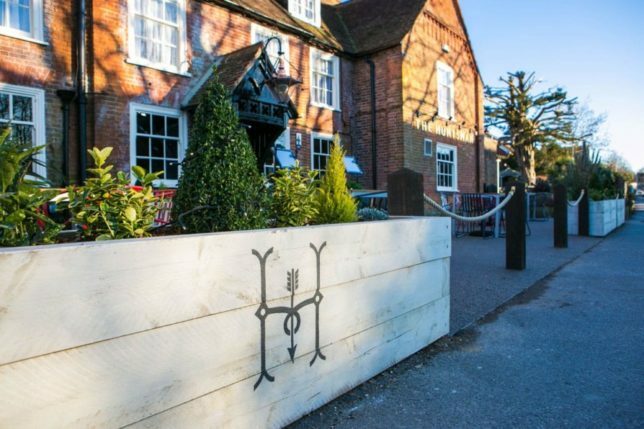 The Huntsman of Brockenhurst is the perfect place for a weekend getaway with a restaurant that serves classic British fare including wood-fired pizzas and meat cooked in a Josper charcoal oven. 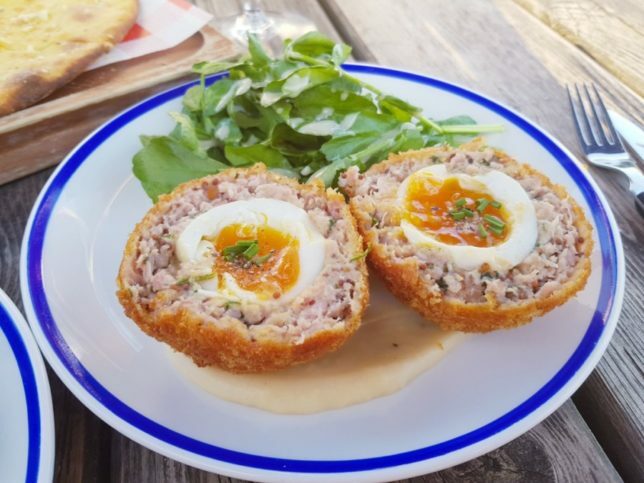 The Huntsman prides itself in being excellent in everything they do; from the food and drinks served in the bar and restaurant to the home-from-home space they’ve created in this 13th-century inn. 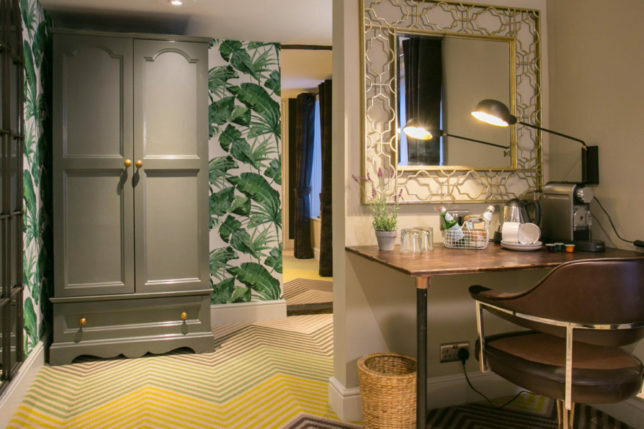 The 13 beautiful boutique bedrooms, full of home comforts and charm, are all stylishly designed for maximum comfort offering a touch of country luxury with large comfy beds for the perfect night sleep, cosy bathrobes, White Company bathroom toiletries and Nespresso coffee machines for that caffeine fix whenever you need it. 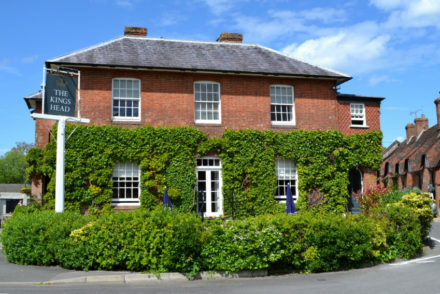 For ultimate luxury a stay in a suite offers plenty of space for that most lavish of weekend breaks in the New Forest. 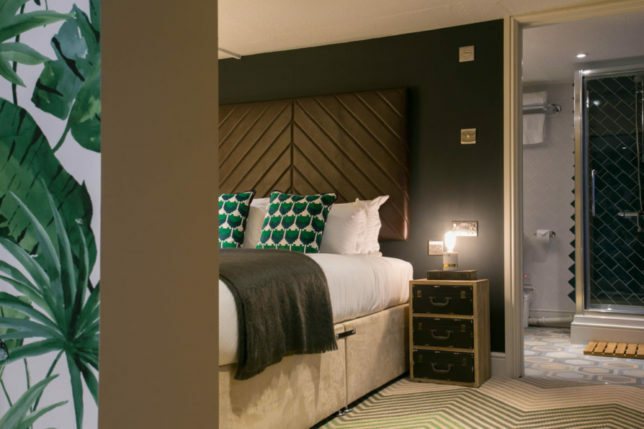 The super king bed with its luxury bedlinen as well as a pair of comfy chairs for relaxing in front of the smart TV offer couples lots of space. 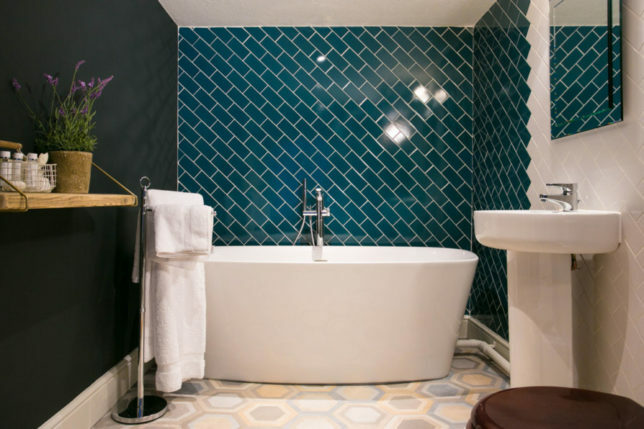 In the bathroom, the roll top bath is perfect for a relax soak plus there is a powerful shower to blow away the cobwebs in the morning together with luxurious White Company bathroom essentials to get you day off to the right start. 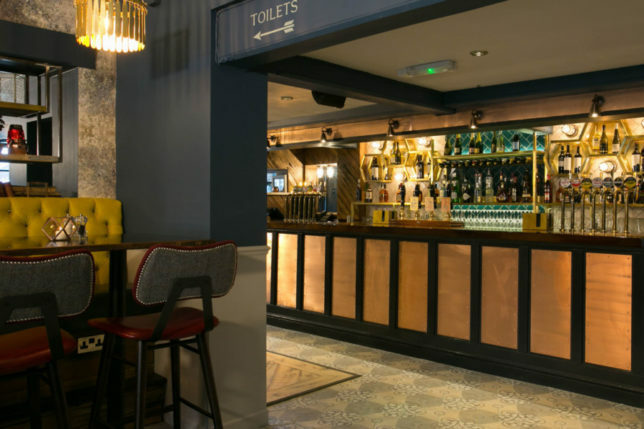 The bar boasts an expertly crafted list of classic cocktails, alongside rows of boutique spirits as well as a range of world beers on tap and bottled. 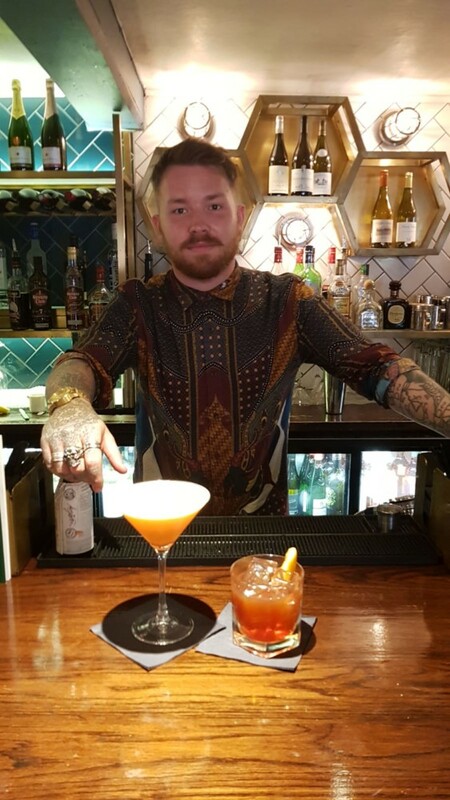 Our bartender James worked his magic creating some delicious cocktails starting with Rosie Lee – a very boozy take on the Britain’s favourite cuppa which mixes Sipsmith gin with Earl Grey, lemon and marmalade. James also served us with a very good Old Fashioned made with Maker’s Mark, bitters and brown sugar with a touch of water stirred over ice. 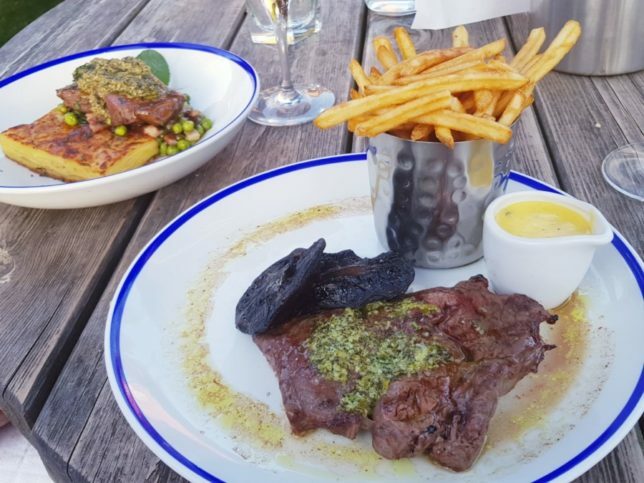 On the hottest day of the year, where better to enjoy pre-dinner cocktails then at a table al fresco! 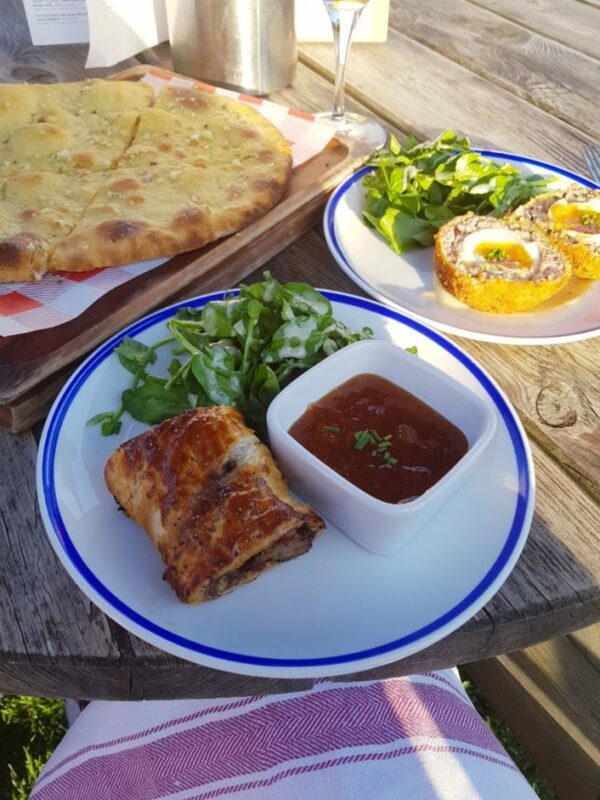 Also to start was Spiced Lamb & Poppy Seed Sausage Roll served with a tangy mango chutney and a moreish garlic flatbread to accompany this super starters. 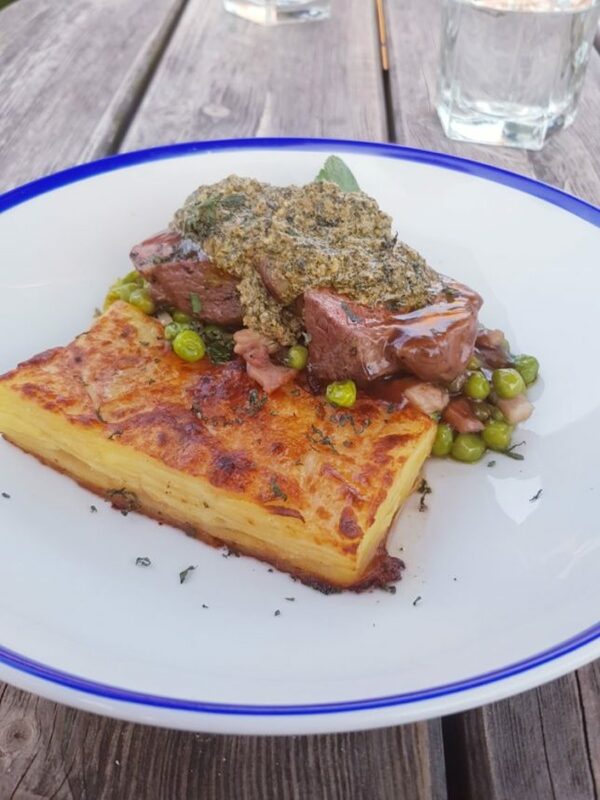 Mains include Roast Rump of Lamb with potato terrine, peas à la Française, smoked bacon and mint pesto. 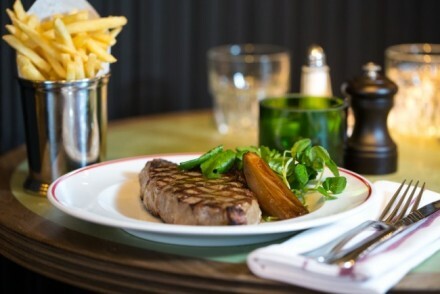 Also on the mains menu is 8oz of 35 Day Aged Rib Eye – nicely tender and packed with flavour thanks to lots of marbling – cooked quickly over 400 degree coals in the Josper charcoal oven for a smoky juicy piece of meat that is served with smoked flat mushroom, triple cooked chips and garlic & watercress butter. 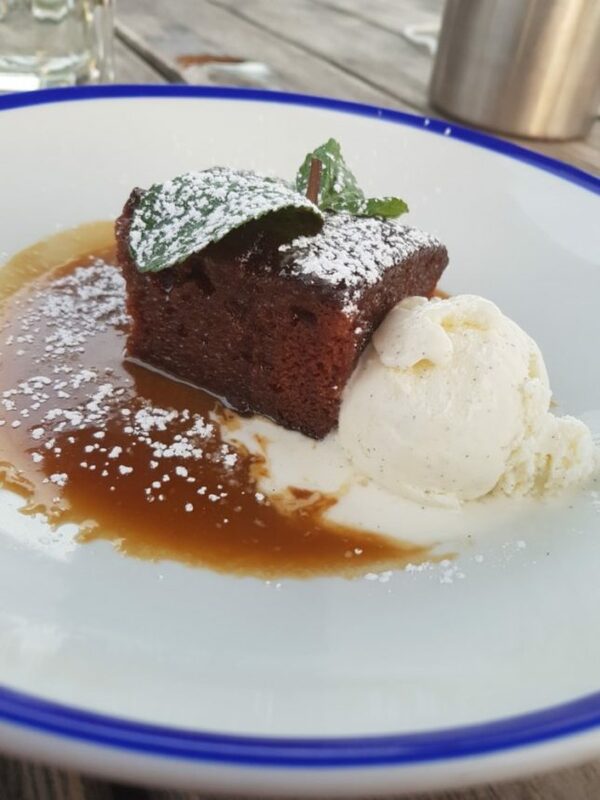 To finish, we chose the Warm Sticky Toffee Pudding served with butterscotch sauce and clotted cream. 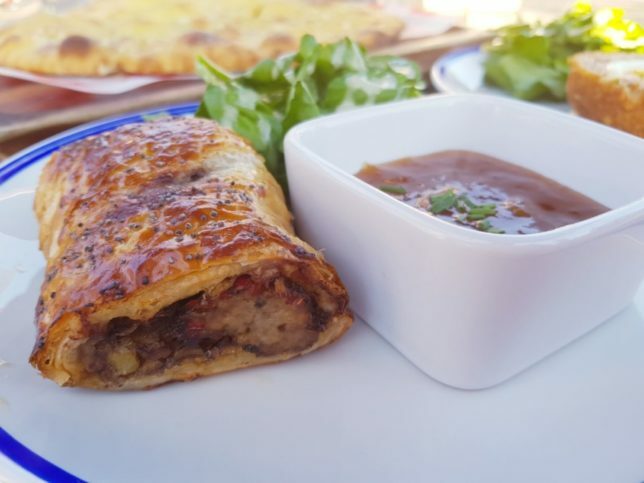 You can see why this is a popular choice from the dessert menu. 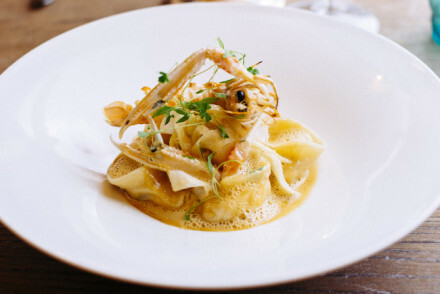 The perfect end to a working week. 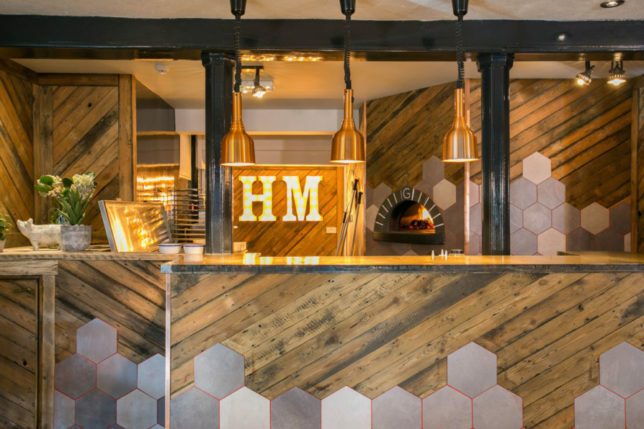 A super friendly, highly experienced team that go above and beyond to make your stay enjoyable from the moment you set foot in the door. 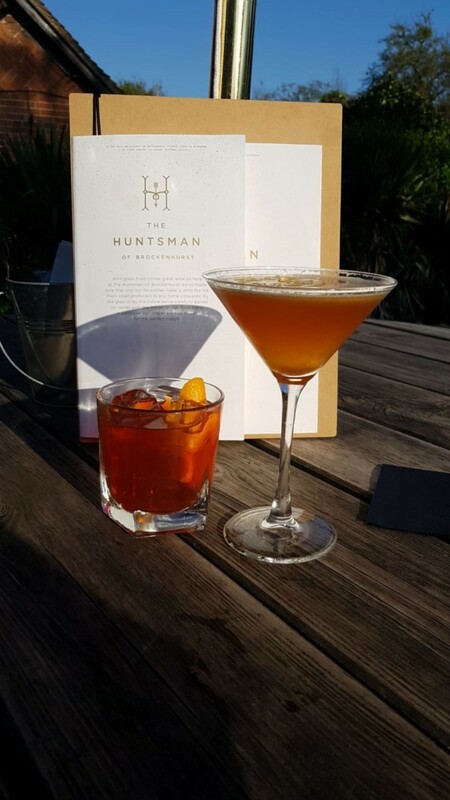 Whether you want to chill in the residents only courtyard or gather near the fire pit, there is something at @thehuntsmanofbrockenhurst for everyone even four legged friends.